Standing up too quickly, low blood sugar levels, or even a change in atmospheric pressure around us can lead to feeling lightheaded. 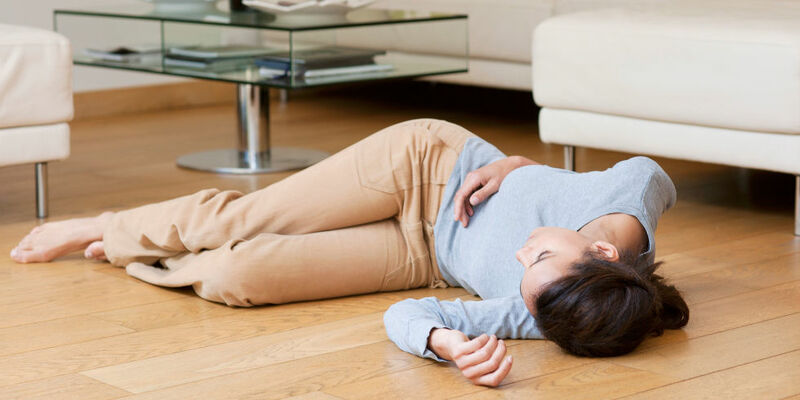 Many individuals experience brief seconds of lightheadedness at some point in their lives, but for some the lightheaded feeling can lead to fainting. This momentary episode of passing out is different from sleeping or being unconscious and is usually caused by lack of oxygen and blood flow to the brain. Individuals should naturally regain their balance and wake up within a few minutes. As the reasons for this condition can vary, it is important to know what to do if someone faints. If you recognize these symptoms before they progress to fainting, you can stop the process by moving to a cool location, sitting down, and resting the head between the legs. In most situations, fainting is a minor deal. Individuals will recover within a few minutes and can take proper steps (deep breathing, moving into a cooler location, eating some food) to prevent a second episode. Yet there are also those instances where fainting is a sign of something more serious and may need medical attention. Here are a few things to do when someone faints. The first step should always be to move an individual onto their back. This allows for better oxygen flow and levels the heartrate. You can also help by raising the legs approximately 8-12 inches off the ground, by the heel, to force blood flow to the brain. If any clothing items seem restrictive such as a tight vest, corset, belt, or shirt collar then remove or unfasten them to help the individual breathe. Don't forget to call 911. 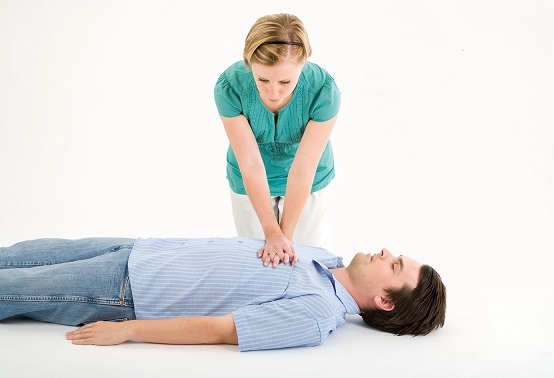 Start by kneeling to the side of the body of the individual who has fainted. Place one palm onto the center of the chest, where the rib cages meet, roughly 5 inches from the heart. Place your second hand on top of the first hand. Using the heel of your hand, and your entire body weight pressure, begin compressions on the chest to force air in and out of the lungs. Complete this in rapid succession, approximately 100 compressions per minute. You may take a break between every 10-15 compressions to blow air into the individual. To do this, hold their nose closed, open their mouth, and exhale large amount of air into their lungs. In addition to loosening any restrictive clothing in Step 1, after the individual has come to, there are a few other steps that you should tackle for what to do if someone faints. Allow the individual to rest on the ground, on their back, for 15 to 20 minutes. It is important that the blood have enough time to properly regain normal flow to the brain. Do not crowd the individual. When fainting happens, it is important that the victim have room to breathe in fresh air without being bombarded by multiple people. This is why we often see rescue scenes where the rescuer is asking people to step back and give the victim room. Help them get up. Once the individual feels ready to stand, assist them. Lightheadedness may pass over them upon standing after fainting if blood and oxygen are still working to normalize in the body. Look for any head injuries. If an individual has sustained injury during the fall or has a preexisting condition such as pregnancy, then it may be necessary to consult a physician immediately. Keep in mind that even small wounds can lead to big problems. Has any medical conditions such as heart disease, diabetes, etc. Shows any signs of difficulty speaking, numb limbs, blurred vision, etc. All of these can be signs of a more serious issue. In addition to knowing what to do if someone faints, you must also know what not to do. Individuals in this state are very fragile and require special attention. Avoid any harsh movements such as shaking the body or slapping the victim. Keep their head level with the body, only the legs should be lifted to increase blood flow. Never move an individual who has fainted, there may be unseen damage that can be worsened if the person is moved. Lastly, only provide food or drink immediately after fainting if the incident may have been the result of something more serious such as low blood sugar.